If you’re a new driver, there are some basic car repairs you need to know in order to avoid problems while driving on the road. If you run out of gas or have a flat, how will you know or be able to diagnose the problems? Though you don’t have to become a mechanic, having some basic repair skills on hand is always a good idea. Luckily, there are many car repair programs offered at places like the Newgate School or even your own high school that can help you learn these five quick repairs. Changing a flat tire is one of the most common problems you might face on the road. Knowing where to find a spare tire and how to change it can help save you money and get you back on the road and on your way in just a few minutes. Replacing a dead battery is something that is easy to do, yet many people know nothing about. You should learn to identify and replace one. If you find your car battery is weak or dead, you can remove it and replace it in just a couple minutes with some basic hand tools. It also helps to know some common problems that can cause a dead battery so you’re prepared. Car belts eventually wear out and can break, causing parts like the fan and alternator to stop working. This can create other issues such as a dead battery or engine overheating. Knowing how to change a belt can save you a lot of problems and costs. Driving in a rain storm is not the time to find out your windshield wipers are not working properly. Windshield wipers are very easy to replace and can save you a great deal of trouble with visibility. You can save some money by knowing how to replace windshield wipers yourself as well. Occasionally, a headlight bulb will go out, making it very difficult to see the roadway or any obstacles lying in the road at night. When you’re out on a dark roadway with a headlight out it can be very dangerous as well. You can replace it in just a few minutes and keep yourself and others safe while driving. These are just a few basic skills that will help you save money and keep you safe while driving. 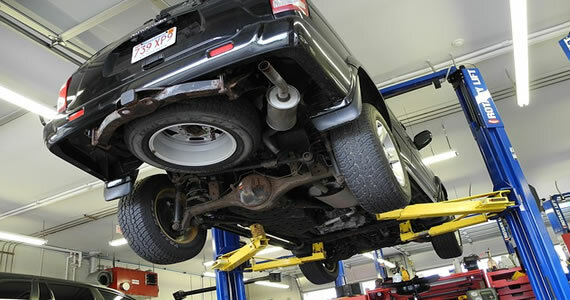 Most car repairs can be easily learned and will allow you to avoid major problems while driving. Keep things up to date and maintained and you’ll be on your way! In economics, there is a principle called sunk costs. It simply means that the money you spent on a product or service is gone. No matter how many times you throw good money after bad money, you cannot get your initial investment back. When you purchase a car, it can be a gamble. You hope you are getting a good product, but you will not know for sure until you take it home and drive it around town for a while. It can turn out to be the most reliable car on the lot, or a certified lemon. If you purchased a car that turned out to be a lemon, one of the most intelligent things you can do is cut your losses. Here are four signs that indicate it is time to let your lemon go. It is understandable for you to spend money on routine maintenance costs such as oil changes and tire rotations. However, if you frequently spend more money on repair costs than your monthly car payment, it is time to find a more reliable mode of transportation. For most people, it is rare that they have to get their cars towed because of mechanical failure. If your car is a lemon, you may know tow truck drivers on a first name basis. According to the towing service experts at Sheffield towing, frequent automobile breakdowns are the primary reasons people have their cars towed. You are wasting countless hours and money by keeping a car that needs to be towed frequently. There is nothing more stressful than having to deplete your savings account in order to keep your car working properly. Financial stress can take a toll on your health. If you are constantly worried or losing sleep because of the money you are spending on your car, purchase a new car. 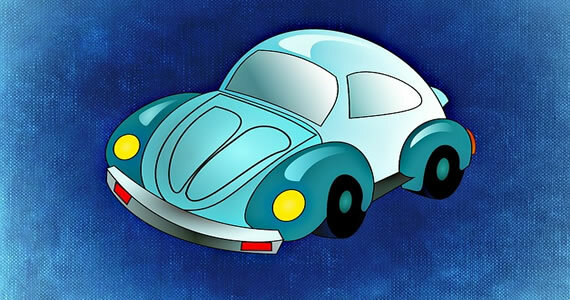 Your goal for purchasing a vehicle was to provide you with reliable transportation. When you put your key into the ignition, you want to be certain that it will start. You should not have to guess whether your car will operate from one day to the next. At some point with your vehicle, you will have to face the fact that your car is more trouble than it is worth and move on. If you are ready to make the required repairs to your vehicle, then there are a few naturally needed first. While some repairs that can wait until a later time, due to financial concerns or lack of time, there are parts that must be replaced quickly to keep a vehicle operating safely. Modern vehicles have a long serpentine belt that operates several mechanisms such as the power steering components, alternator, and water pump that are necessary to drive. The best time to replace this belt is when it is worn or stretched. A knowledgeable mechanic can inspect this belt to see if it is lose or damaged during a tune-up to replace it before it breaks while on the road. Your vehicle has a lot of lights that require brightly lit lightbulbs at night, or during severe weather such as fog or rainstorms. 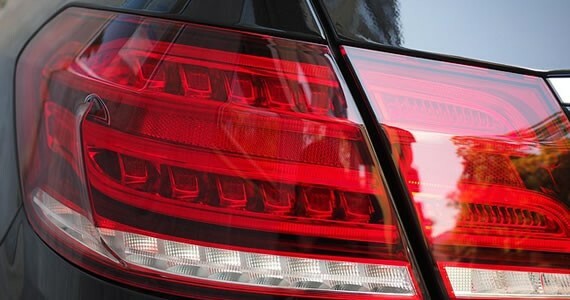 Occasionally, inspect the headlights, turn signals, and brake lights to verify the lightbulbs are working optimally. To understand the lightbulb sizes needed, check your vehicle’s manual or find the information at an online site. This is one repair that simply can’t wait too long. 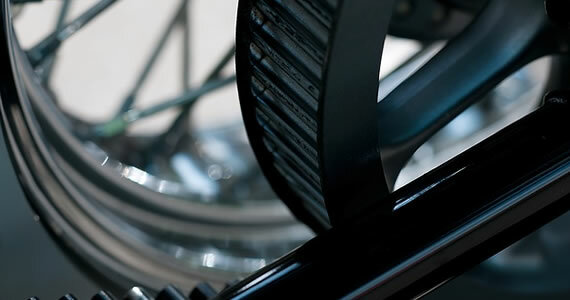 Tires in excellent condition are a vital part of any vehicle to maintain safety while on the road. According to Road-Mart Tire, replacing tires correctly is a professional job for a qualified mechanic. They will know the correct size and type to use on a particular model while installing tires properly. Expert tire installation can increase your vehicle’s gas mileage while making it safer to drive, especially in bad weather. If you lift the engine hood on a vehicle, you will notice several hoses attached to components such as the antifreeze container, water pump, and radiator. Modern vehicle hoses are made to last longer than in the past but still wear out eventually. You can inspect hoses visually by looking for splits and tears that indicate fluids can leak. When the automobile is completely cool, use your hands to feel the hoses to find small holes or degraded material. The brake components on vehicles get a frequent workout in all types of road conditions. The brake pads wear out the fastest due to short trips that require stopping often for stoplights and stop signs. You will hear a squealing noise as brake pads become worn that signals it is time for a professional wear. Unless you are an expert at vehicle repair, this is definitely a job for a local automobile technician who may find additional problems such as defective calipers, rotors or drums. It is easy to get busy and delay your vehicle’s repairs, leading to a breakdown on a secluded country road, or busy highway that requires an emergency tow at an inconvenient time. A better alternative is to avoid procrastination by having a regular maintenance schedule with a trusted mechanic or Marianna FL auto repair company for your vehicle.